Flaglers Barge was just one of the many vessels used to carry supplies and equipment needed to help build the overseas railroad envisioned by Henry Flagler. Unfortunately during the building of Flagler's Overseas Railway, 3 major Florida hurricanes affected the region. Strong winds, and high seas forced the houseboats Flagler's workmen lived on to break free and sink. Barges used in the construction process along with steamships carrying supplies sank. One of Flagler's barges that broke free and sank, settling at beautiful Sombrero Reef. Heavily encrusted with coral and sponges, this Florida Keys wreck is one of the Florida Keys shipwrecks that's become a popular spot for anyone in Marathon diving. Out of the different Florida Keys scuba diving sites, this wreck benefits from the fact that it's easy to reach. It also makes a terrific second dive site after exploring the nooks, crannies and ledges of beautiful Sombrero Reef and Light. Perfect for Florida Keys snorkeling and for all levels of scuba diving certification, this 100 foot long and 30 foot wide barge sits on a sandy bottom at a variable depth of about 11 - 24 feet. Wreck diving the somewhat triangular shaped Flaglers barge, you'll find that her side plating has predominantly disintegrated, exposing her steel framework beneath. This makes her more of a swim through, as there isn't much left of her structurally, except for her steel "I" beams. Located in a Florida Keys Sanctuary Preservation Area, the marine life has had a chance to flourish. 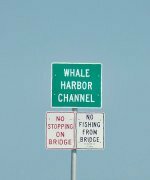 Scuba diving Florida Keys at this site you'll find that a vast number of fish have taken refuge in and around her hulking form. In fact, the schooling fish can be so thick at times that it's impossible to see past or through them. Underwater photographers will have many opportunities to capture moray eels hiding in crevices, along with nurse sharks sleeping on the sandy bottom near Flaglers Barge. Plus there's an amazing selection of brilliant coral and colorful tropical fish that dart and school in and around the wreck dive site. This is one of those exceptional scuba diving Marathon Key sites where you can spend an eternity and it'll only feel like an hour. Flagers Barge is very limited in terms of "wreck diving" material. In reality there's not much left other than her metal bones. 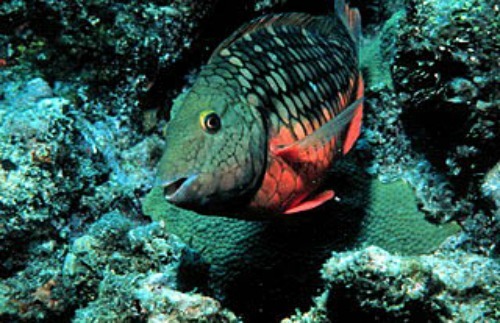 However, what it lacks in structure, is heavily compensated for by it's incredible profusion of fish and colorful coral. Sombrero Reef is a scuba diver's underwater photography heaven. If the barge had to sink some place, it couldn't have picked a more perfect final resting place. It now lies nestled in one of the most spectacular coral reef sections of the Florida Keys. Graced with numerous tropical and game fish, scuba divers will want to make sure that on this dive, they bring their underwater cameras. The opportunities for photography are endless as this video on our Sombrero Reef page shows. There are lots of great options for underwater cameras like these ones available from Amazon. You can also use the search bar below the previewed items to fine tune what you need or are specifically looking for.